Whether you are working for a homeless shelter, after-school program, or crisis center, your nonprofit has likely originated from a need in society. As a result, there is always the need to know that you and your team are continuing to meet the needs of the organization and the community. But how can you tell?! How do you know!? As a manager of a nonprofit organization, you base this answer on numbers, such as the number of members served, the donations you receive, or the number of people who volunteer their time. This data is powerful for both recognizing the purpose of the nonprofit, but it is also vital for keeping the doors open through ongoing funding and support. Data includes all of the pieces of information that can be compiled in a quantitative manner. For a nonprofit organization, your data could be everything from the contact information provided by clients, financial figures for fundraisers, and your member count. Other types of data may include website performance, social media successes, email open rates, event information, and donor management data. It can also include key dates and timelines as they relate to your organization. "Big Data" is all of this data sliced and diced and broken down into subsets or variables that can be analyzed and compared. And through the analysis of this data, you may be able to help your organization identify previously undiscovered connections and outcomes that can be used to benefit your mission or goals. How Do You Make Sense Of All This Data? In order to achieve this mammoth task, you need more than just a calculator or spreadsheet. 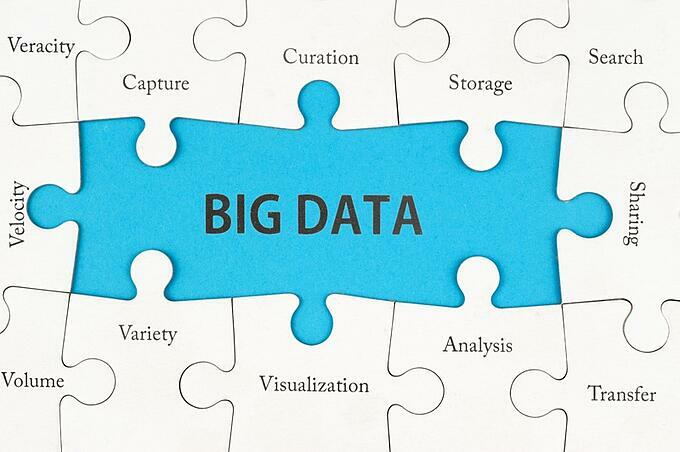 Big data requires big data management to get a clear understanding of what it all means. This begins by selecting a system that provides relevant and actionable analytical reports in (near) realtime. For instance, if you are able to generate a report using a tool like Power BI, which allows you to pull multiple data sources into one report, you may be able to identify key strengths or weaknesses within your organizations marketing or fundraising strategy and make decisions to make improvements. By processing big data accurately, and via a safe and secure vendor, you can start to paint a more clear picture with your information. Further, your nonprofit can improve its overall operations by reducing the amount of time spent on data management. At the same time, this streamlined efficiency will often help clean up your data records so each piece of data is filed correctly and in a single place. Then when you are ready to complete end-of-the-year reports or audits of the nonprofit for accountability and measurements of success, you can easily sort through your data. Data is an important lifeline for nonprofits that want to increase connections to donors, volunteers, and financial supporters. Provide your nonprofit with proper data management and understand how to handle big data for your organization. Tech Impact offers solutions and support for nonprofit organizations struggling to manage and better understand their data. For more information on better data management tools and tops for nonprofits, sign up to join one of our upcoming webinars lead by our team of experts, or download some of our nonprofit technology resources.